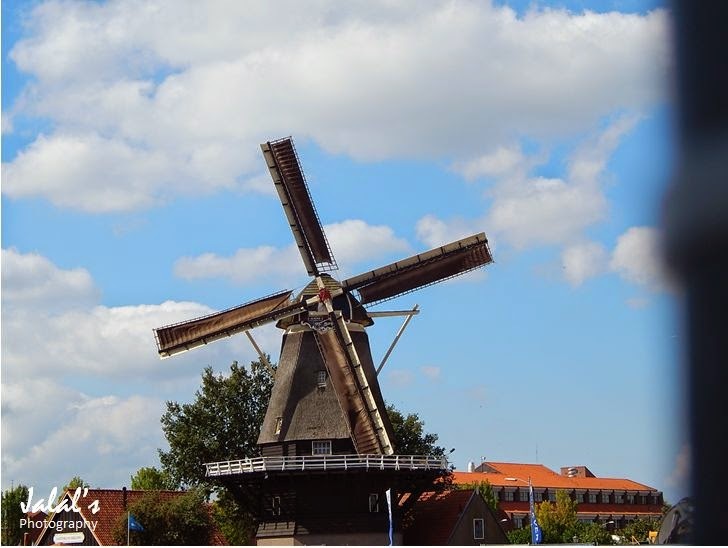 Holland was home to the world's oldest wind mills - that is what I learnt in my elementary school when I was just growing up. And then whenever a general knowledge quizzer included a question on windmills, I always got full marks for that question. 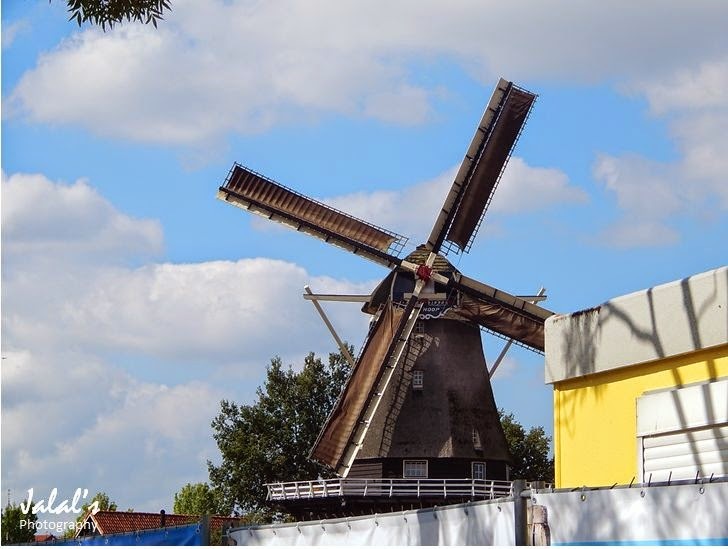 I would often see the windmills in movies and in photos and always longed to see one right in front of me. 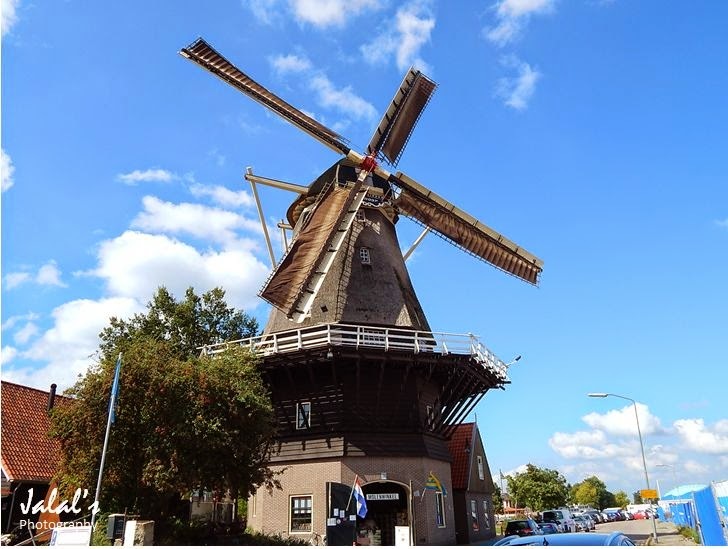 But at that growing and tender age, I did not know that I will have to wait to see one decades later when my hair had almost become grey and that I would be just around 60 to go to Holland (please forgive me for calling the Netherlands as Holland as I like calling it so) to actually a windmill 'live' right in front of me. 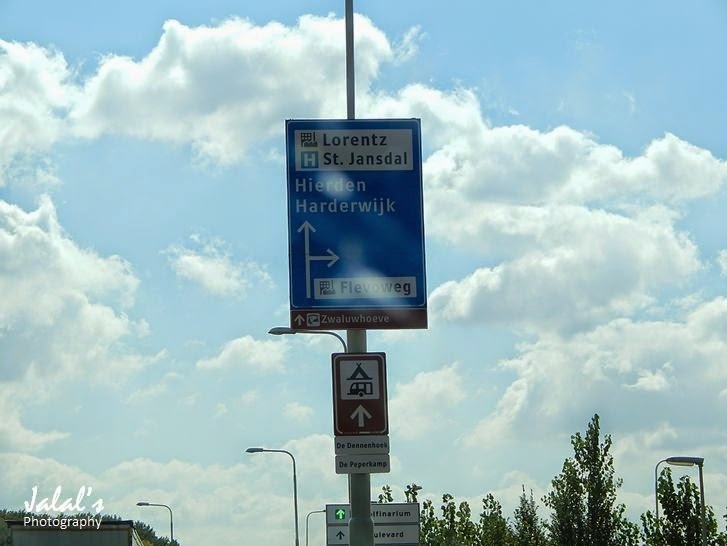 I have already shared how I traveled to Holland last September in my post to meet a friend after 43 years. And while there at Groningen, where my friend lived, he advised me to go to a place called Harderwijk to watch dolphins, sharks, sea lions, seals and walruses at Dolfinarium. So on the third day of my stay in Groningen, we drove to Harderwijk to see the dolphins - something that too I had seen in movies and TV. 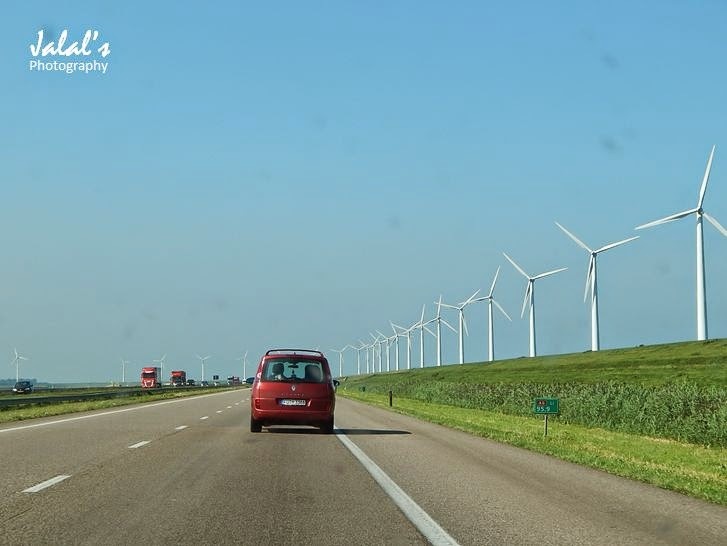 En route, we came across big windmills of modern day spinning slowly - but not majestically as the old and original windmills did. 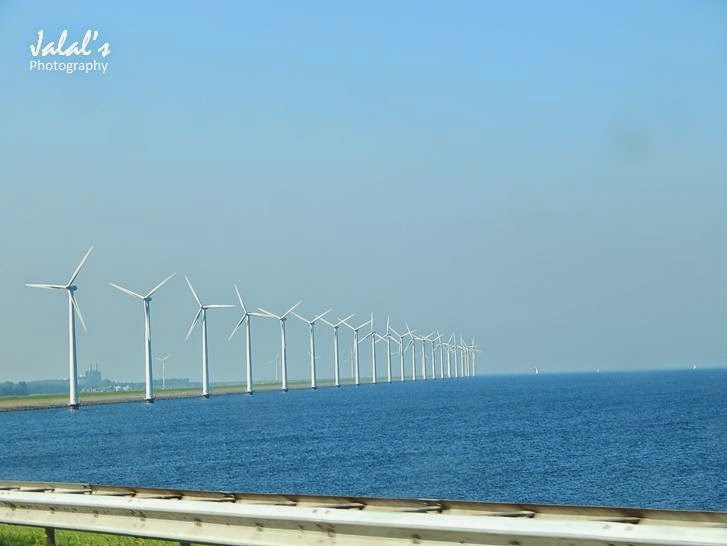 But for us these were the windmills in sight and we enjoyed these, never knowing what was waiting for us at Harderwijk. Harderwijk finally arrived and we started looking for the Dolfinarium - but before we could spot the Dolfinarium, there I saw an actual and original windmill with all its beauty, might and majesty. So for the moment I forgot about the Dolfinarium and parked our car near the place, which happened to be just close to Dolfinarium, and ran towards the windmill. My children could understand my joy and ecstasy as I was watching something at almost 60 years of my age which they were witnessing in their 20s. 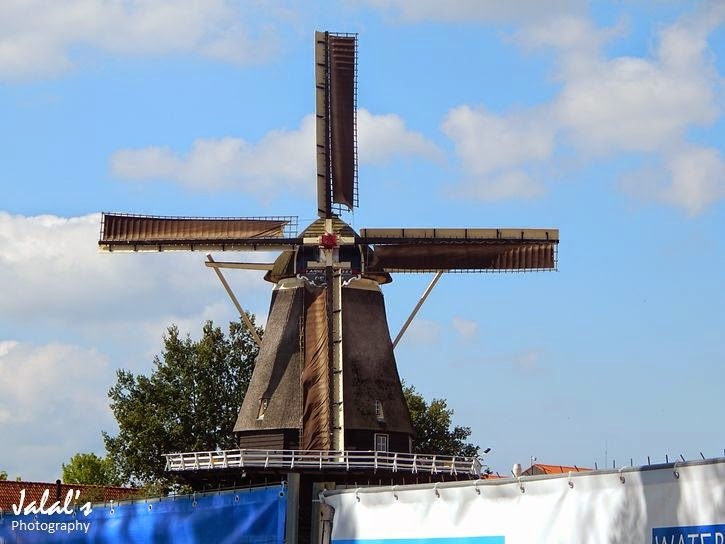 Herein under are some of the photos that I took of the windmill that stood there for me for God knows how many years.